Back in 2014 with the release of the Forerunner 620, Garmin introduced the running community to new metrics not available on any other GPS watch. Collectively, they called it Running Dynamics. The idea was that a runner could work on improving running form with real, tangible data. 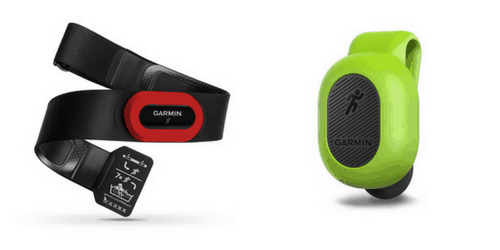 In order to record the data, you need to wear one of Garmin’s heart rate straps (HR-Run or HR-Swim/HR-Tri) or Garmin’s new running dynamics pod. These devices measure cadence, stride length, ground contact, and vertical ossicilation. 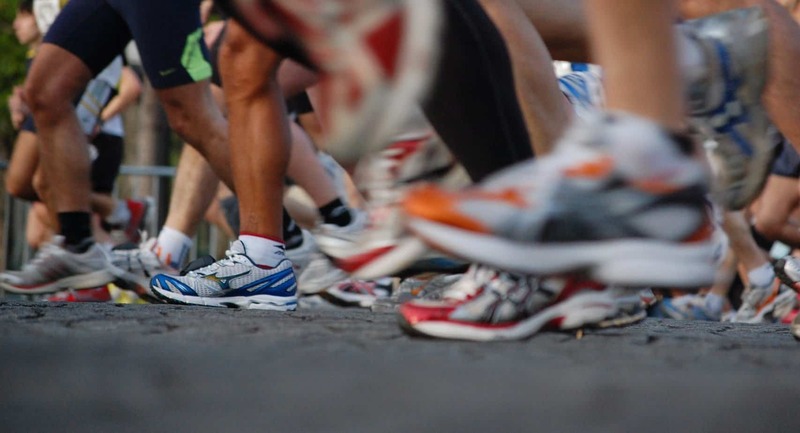 Cadence tracks stride turnover or how fast your legs pump while running. Specifically, it’s how many times your feet touch the ground. It’s displayed in foot strikes per minute. Most amateur runners have a cadence of anywhere between 140 and 160 strides per minute. General consensus is that 180 strides per minute is ideal. Stride length is how far you travel with each stride. It varies based on cadence, body mechanics, strength, and flexibility. Ground contact balance is also measured. This is the difference between ground contact time on each foot. Ideally, this is split evenly between both feet; however, it lets you know if you’re favoring one side over the other. Vertical oscillation measures the amount of “bounce” – i.e. vertical up and down movement – generated while running. The pod and heart rate monitor measure “bounce” by tracking the number of centimeters your torso moves from a fixed point during each stride. According to Garmin, elite runners oscillate less, although they don’t make it clear how much less. Finally, vertical oscillation ratio is vertical oscillation divided by stride length and displayed as a percentage. Because these two movements are intertwined – stride length is horizontal movement; vertical oscillation is vertical – this ratio provides a holistic view of your stride. A lower percentage means a more efficient running gait. Now that we know what running dynamics are, the question is: how are these features useful to the everyday runner? To find out, we asked James Dunne of Kinetic Revolution. James is professional running coach, specializing in correcting inefficient (and potentially injury-inducing) running movement patterns. His website, Kinetic Revolution, has a wealth of information and articles about proper running form, training, and nutrition. Additionally, he offers a six-week online course to improve form and efficiency. According to James, ground contact is just another way of measuring running cadence. In essence, Garmin has simply provided a secondary metric to track cadence (which the Forerunner 620 measures as well). Cadence increases –> Ground contact time decreases. At its core, tracking vertical oscillation is really about improving running efficiency by reducing wasted energy. But just how much energy might be lost? Clearly, it’s beneficially to try to reduce “bounce” as much as possible. But according to James, the running stride itself will always include some bounce. Fortunately, increasing cadence will have significant benefits in reducing bounce to a more appropriate level. Both ground contact and vertical oscillation are beneficial but only as secondary metrics to track running cadence. So while they are not groundbreaking features, they do provide useful information. Knowing this, the proper way to use these metrics while training is to measure current cadence, ground contact, left/right balance, and vertical oscillation, then slowly work on increasing cadence. Decreases in ground contact time and vertical oscillation should follow. James has written a great article explaining the correct method to increase cadence. The key is to make a gradual change, slowly working towards a faster cadence. Once you’ve increased cadence to an appropriate level, track these metrics to stay on target and spot any inconsistent trends. A change in any of these could signal degradation in running form and/or other potential issues that should be investigated. Run Faster And Reduce Your Risk of Injury With These Tips!